If you didn't make it to Rio for the Olympics and Paralympics this year, there's a chance to get a taste of Brazilian culture — Brazil Day takes place this weekend. 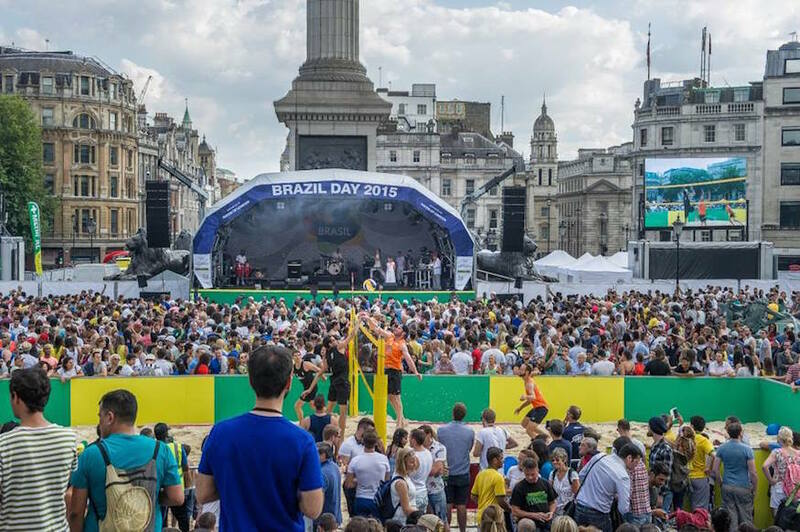 The free event, organised by the Embassy of Brazil in London, takes place in Trafalgar Square. Everyone is invited to enjoy live Brazilian music, from Bossa Nova to Samba, and maybe have a little dance. A big screen will show highlights from the Rio 2016 Olympics, while Brazilian food will be sold at stalls in the Square. Tuck into food from the churrasco barbecue or try pão de queijo (traditional cheesebread). Brazil Day takes place in Trafalgar Square on Saturday 10 September, 12pm-7pm. Entry is free.